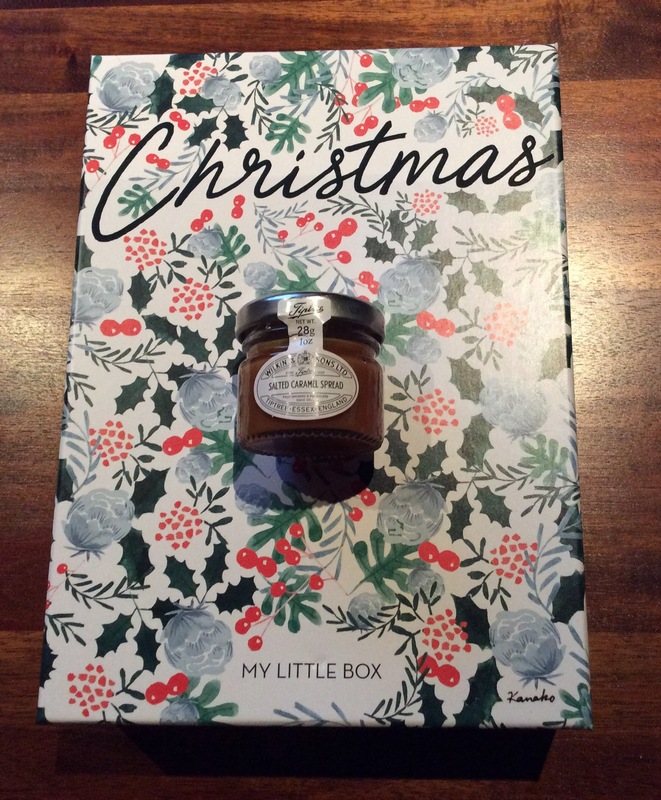 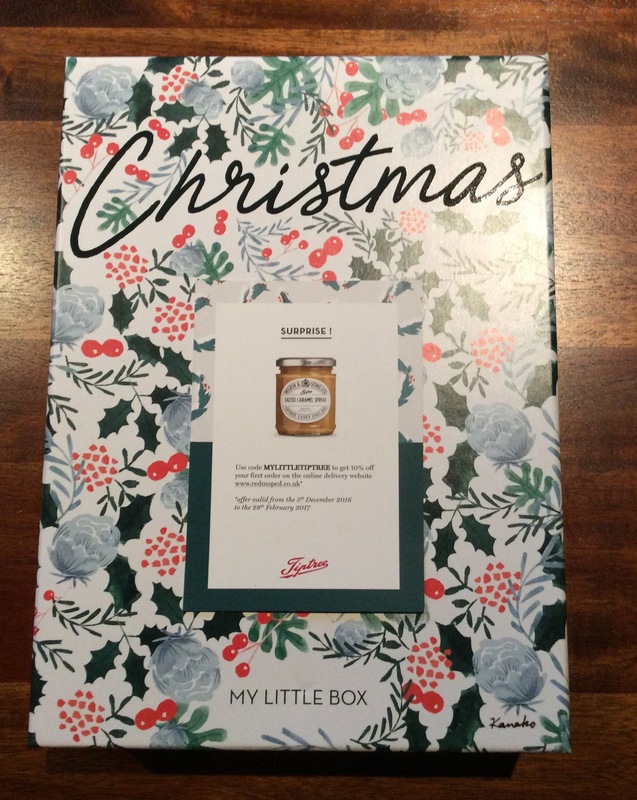 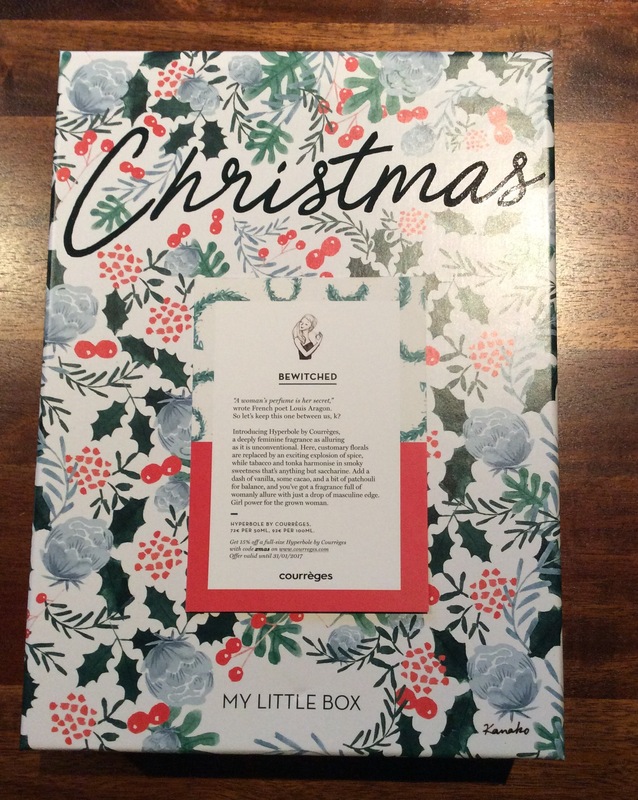 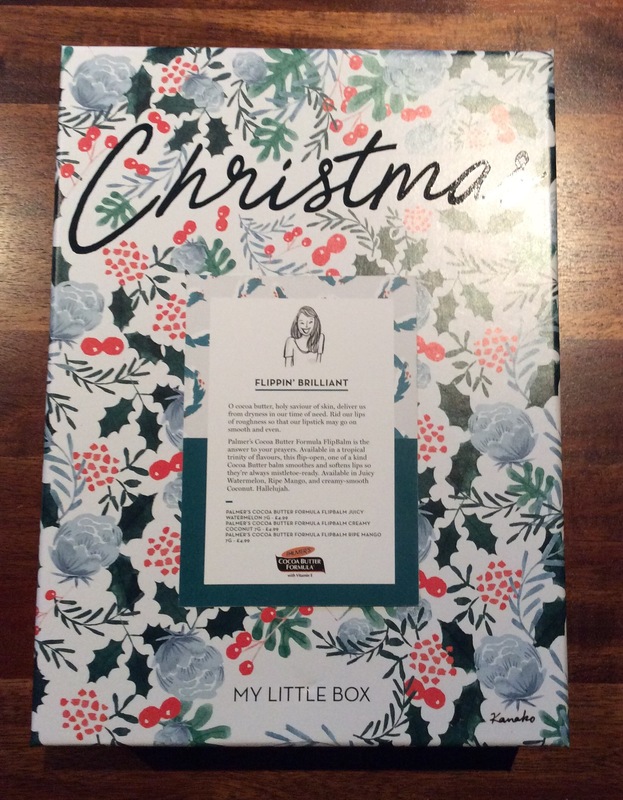 Delighted as received my December My Little Box today – one of my favourite monthly subscription boxes which costs £14.95 (inclusive of p&p) per month. 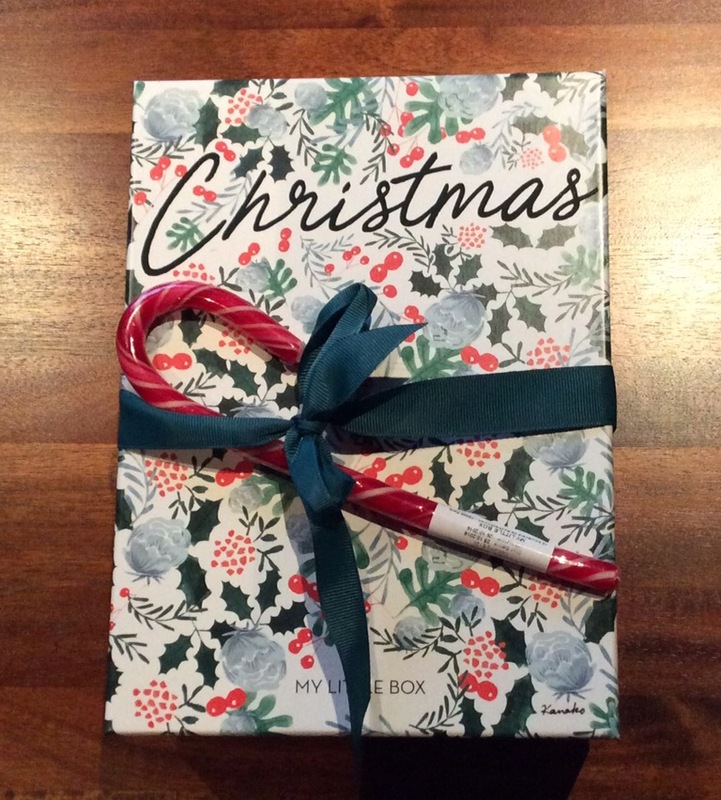 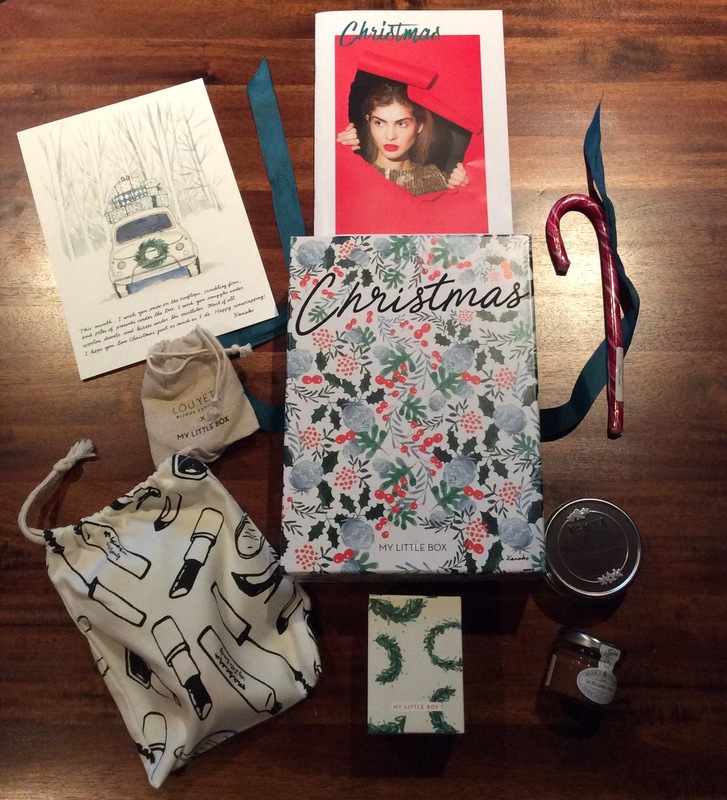 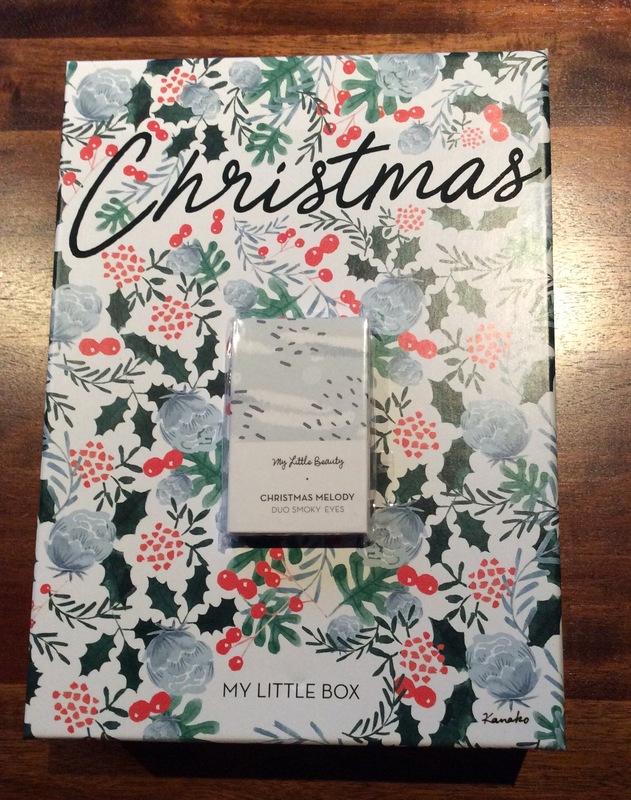 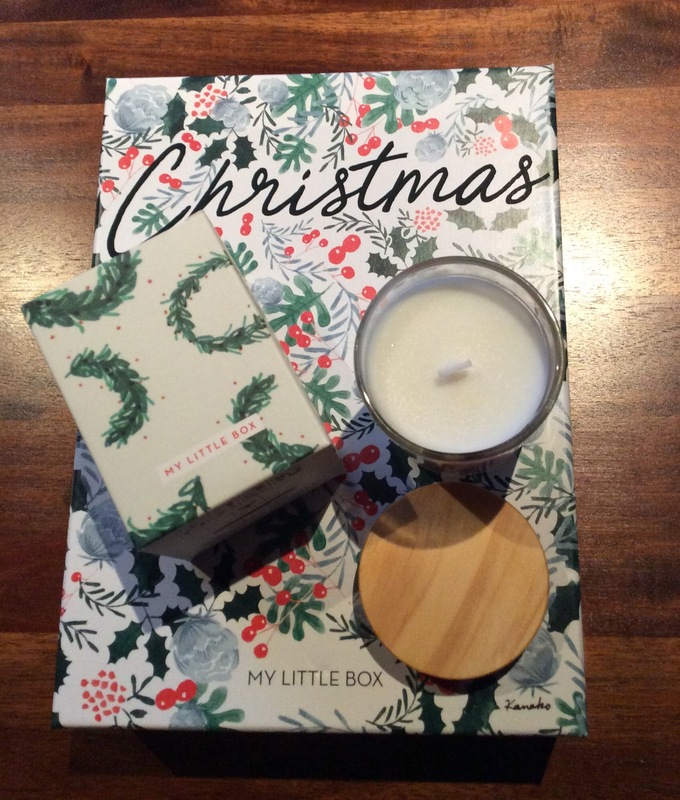 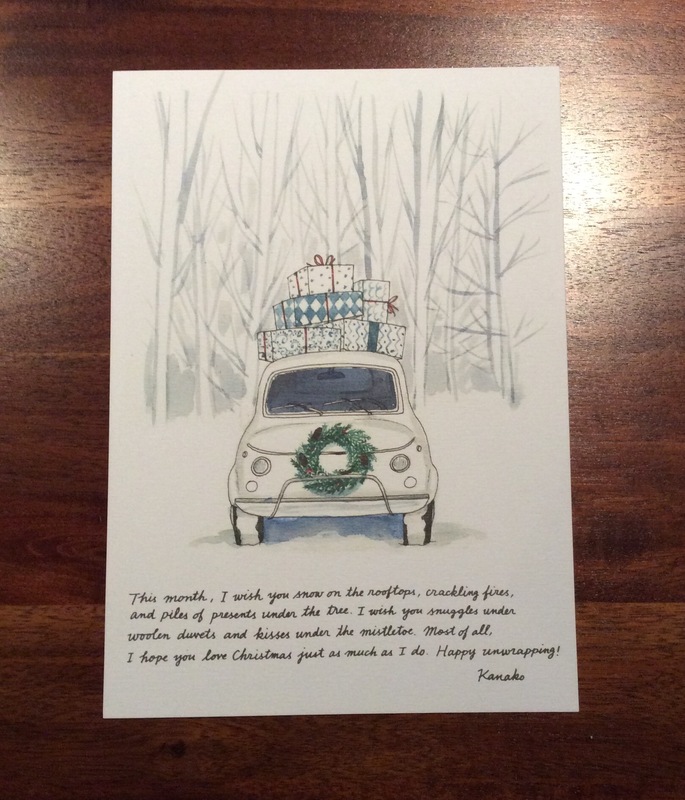 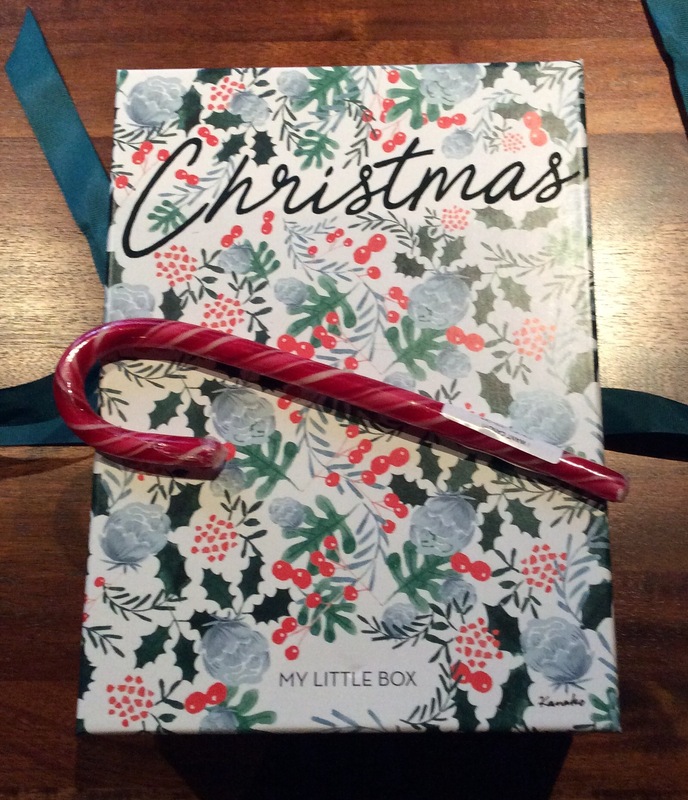 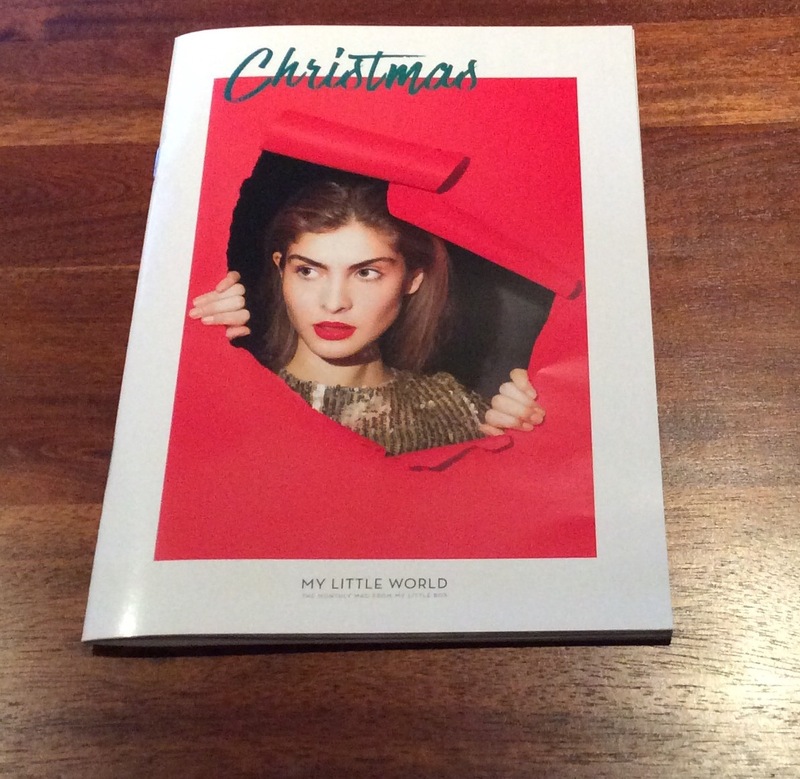 This month’s theme is ‘Christmas’ simple and perfect for this time of year and I adore the way the box, booklets, packaging is all coordinated perfectly in line with this month’s theme. 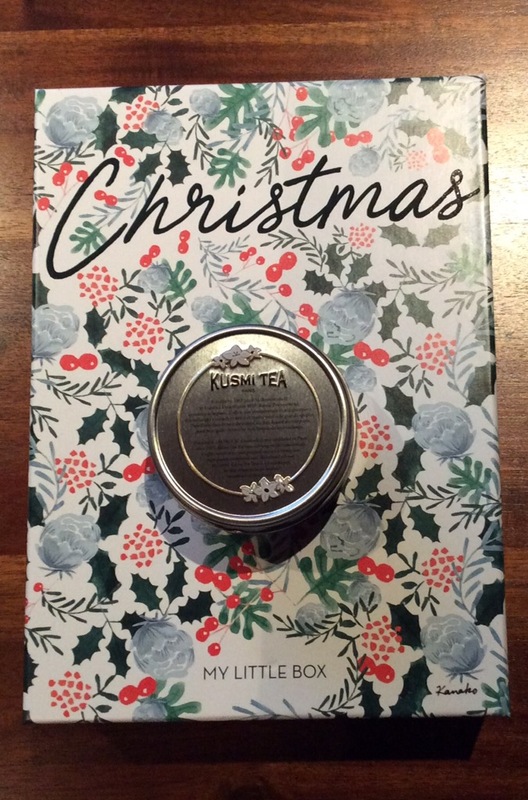 As I have only received the box today have not got a chance to try any of the items properly but wanted to let you see what I received as soon as possible. 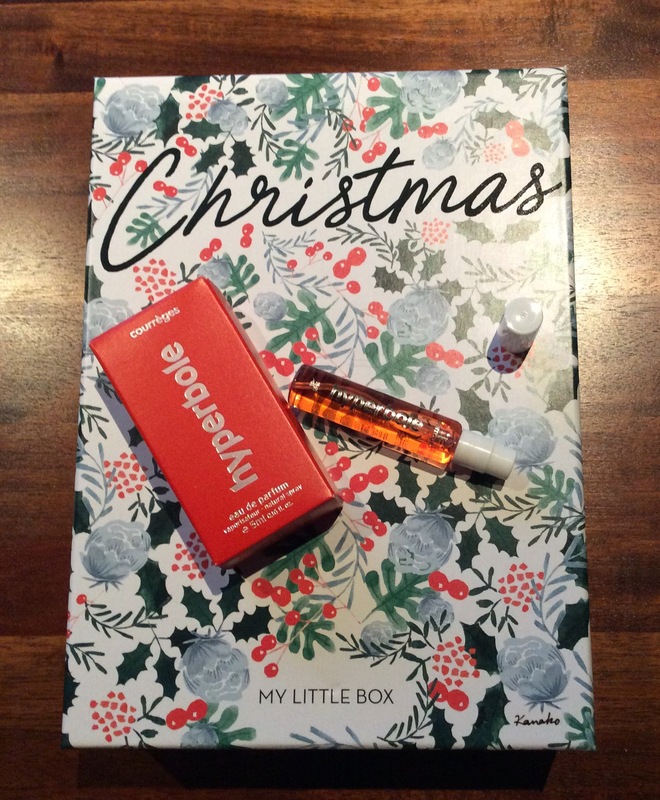 Courreges Hyperbole Eau de Parfum–travel size spray– 5 ml – full size 50 ml -72 Euro – was not sure when I first sprayed it as bit strong at first but then settles so now will definitely try it to see if it is for me – it is a sweet fragrance with a slight spice undertone and also matches the theme perfectly this month. 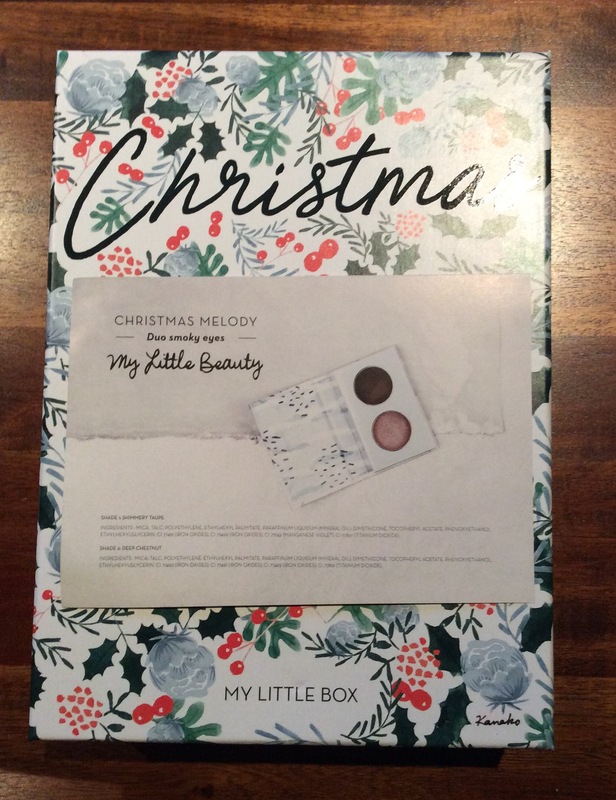 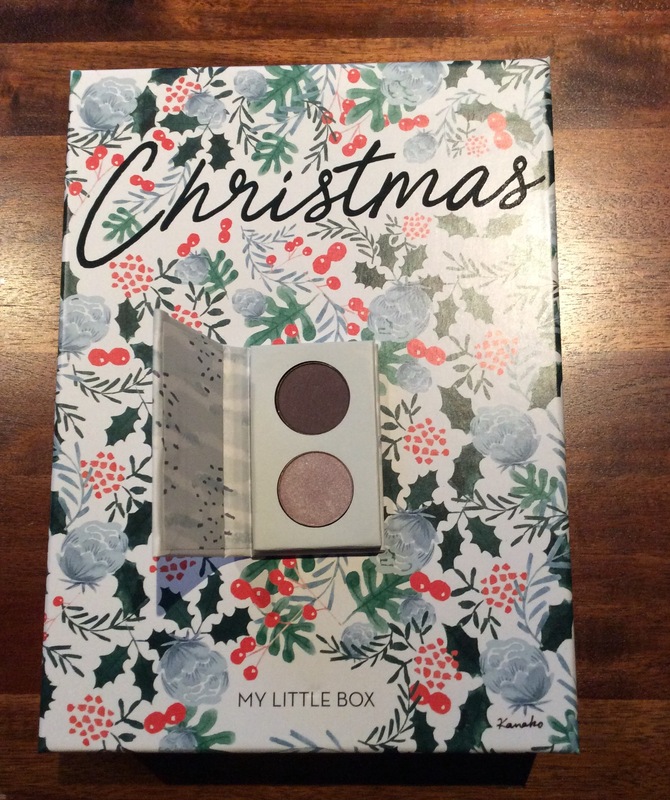 My Little Beauty ‘Christmas Melody Smoky Eyes Duo– full size – again no value given (prefer when all the value of items are included on the information cards) – Two autumnal colours – shades are Shimmery Taupe and Shade – have a good colour pay out, the taupe shade is buildable but has a beautiful subtle sheen and perfect for this time of the year and should be a good duo for a smoky eye look and packaging also matches this month’s theme perfectly as well. 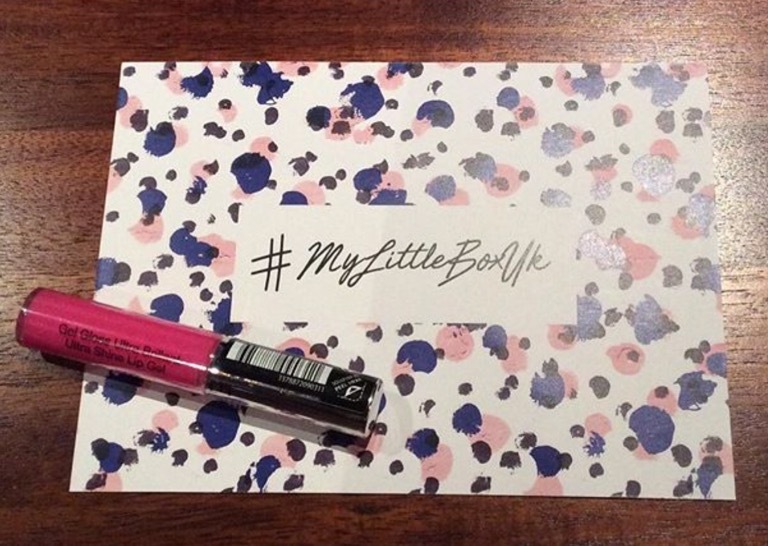 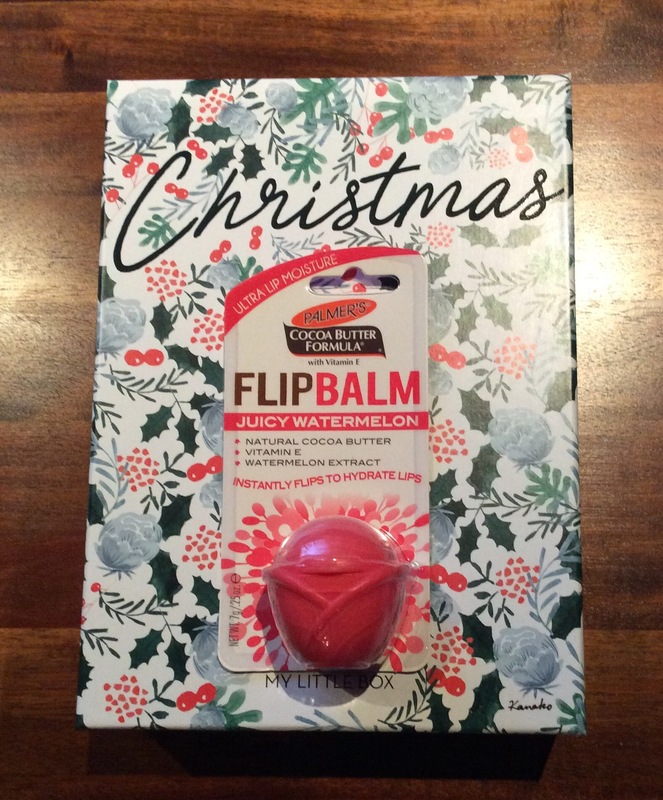 Update on missing third item from my November 2016 – not sure what should have been included – however was delighted as received a Sephora Lip gloss as the replacement item prior to the end of November – was v happy with replacement as had never tried Sephora lip glosses before, not overly sticky and gives a natural sheen to the lips. 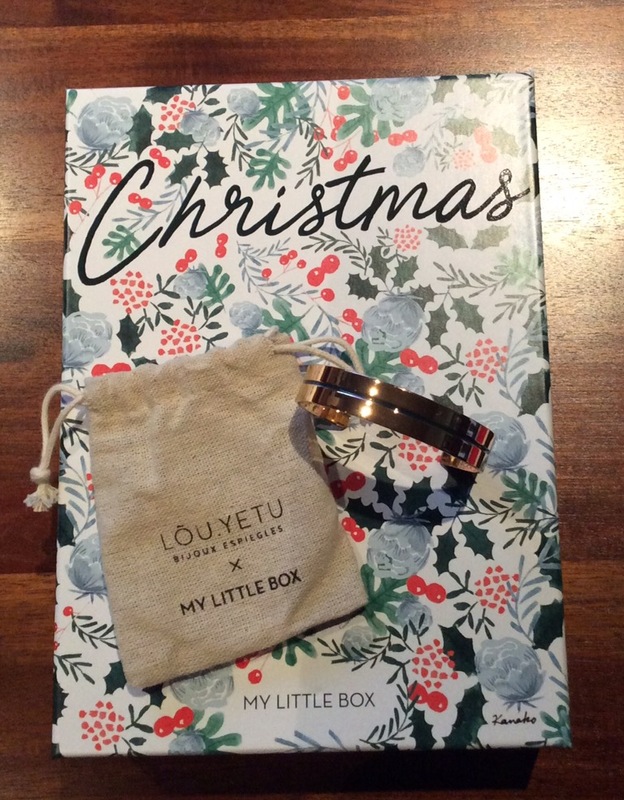 I would definitely recommend subscribing to this box because as always it is still one of my favourite subscription boxes. 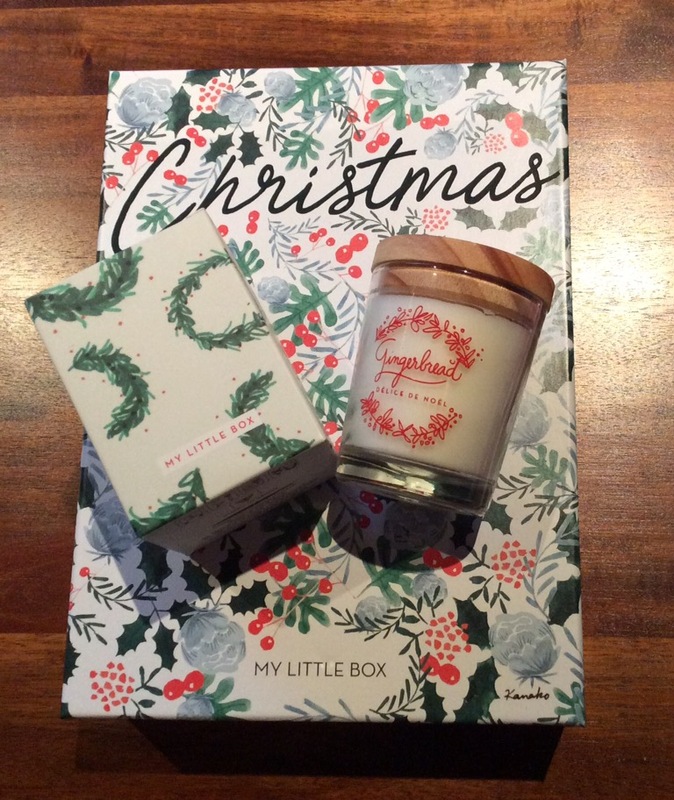 I love the way the items this month fit perfectly with this time of year and all matched perfectly with the theme this month as well – it is a ‘cosy comforting’ box this month and although some people might not find the contents v exciting, and I agree they might not be, however I am happy with them and will use them all.